The main reason that I haven't done this post before is that it was so obvious I didn't think of it. I have loved reading since before I can remember (according to my mother - obviously I don't remember). I love narratives and I think that informs my mindset and way of looking at things. I've loved fantasy fiction since I was a child. I love imaginative ideas. I love things that are larger or weirder than real life. I love reading about the impossible, the new and the downright strange. I'm quite excited that fantasy seems to be on the rise in television and film. I think we've reached a technological point where fantastical concepts can be conveyed on screen with more ease than ever before. I'm looking forward to what could get made in the next decade, and I hope we will see high quality storytelling as well as high quality visuals. Fantasy has it's traditions as any genre does. It can be familiar or derivative, and it certainly has it's share of stereotypes, which are often all that outsiders see. Plenty of good fantasy subverts and plays with the established stereotypes, and a lot ignores them in favour of something completely different. Escapism is part of the appeal, getting away from the grind of ordinary life -though that applies to a lot of realistic fiction too. I enjoy a bit of escapism, but for me the appeal of fantasy is more than that. It's the delight of letting your mind explore realms of the impossible and getting a glimpse at the power of human creativity. I love seeing the brilliant, crazy, hilarious, ridiculous, monstrous things that people can come up with. I like fantasy that's wild, strange, powerful, fun, or even all of those things. Great fantasy transports you, it makes you think, and it takes your breath away. This was an interesting and absorbing read. 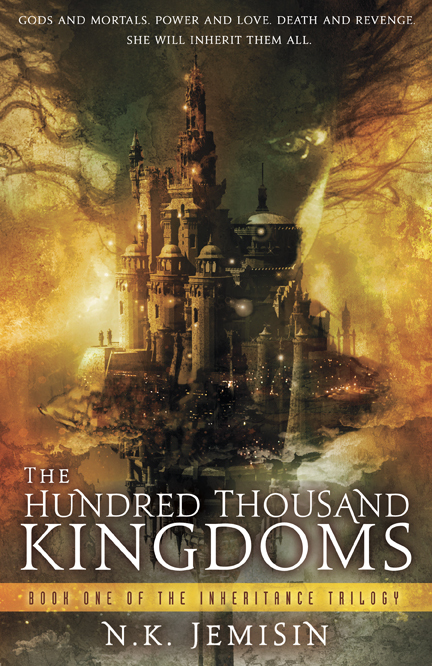 This secondary world fantasy is set in a world where gods are trapped in human form and a powerful, tyrannical family uses them as weapons to rule the world. The story is told from the point of view of Yeine, a mixed-race woman who is summoned to the palace of her maternal grandfather after her mother's death. Despite having been a tribal leader in her supposedly-barbaric northern home Yeine is unprepared for the cruelty and scheming of her mother's family and their divine servants. The book addresses an issue that has been around since ancient times (and is exemplified by the Iliad). How do you create characters that are powerful gods and yet are understandable to your readers? 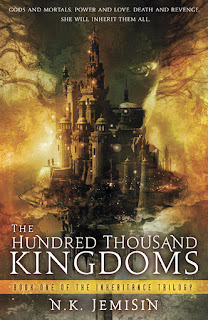 Jemisin's gods are trapped in human form as punishment after the Gods' War. They are massively powerful beings, but not only are they trapped in human form, they are slaves to the family who rule the world in the name of their enemy. Yeine is not an ingenue, but she is understandably inexperienced and must keep herself safe in a dangerous new world, while trying to find out the truth about the life and death of her beloved but aloof mother. She was an easy character to identify with and her behaviour was understandable if not always particularly smart. This excellent book won the Newberry Medal, and I'm not surprised. The story is set in 1979 and is told from the point of view of a twelve year old girl called Miranda. At first Miranda is writing about her life to a mysterious correspondent. Miranda details her family relationships as they prepare for her mother to go on a TV game show. There's also a lot about Miranda's friends at school, her closest and oldest friend Sal has distanced himself from her for the first time since they were toddlers and Miranda must branch out and make new friends. The ordinary parts of the story work well because Miranda's voice is honest and opinionated and easy to understand and relate to. Miranda starts receiving cryptic notes, and odd things happen. There's the Laughing Man, a tramp who lives under a mailbox and shouts out strange things. Someone steals the spare key to Miranda's apartment, but only takes a shoe. Miranda and some school friends get a job making sandwiches for Jimmy, the idiosyncratic sandwich shop owner. There's Marcus an odd, unsociable but brilliantly intelligent kid who discusses the mechanics of time travel with a baffled Miranda. The mystery plotline initially reminded me of other young adult mysteries I've read, strange messages are a popular focal point for such books. As well as enjoying the character I found that the plot hooked me and reeled me in. It was soon apparent that this was a very different sort of mysteries to others I had read and along with Miranda I was desperate to find out the truth. I shall be strongly recommending this story to any young people who want an interesting read. 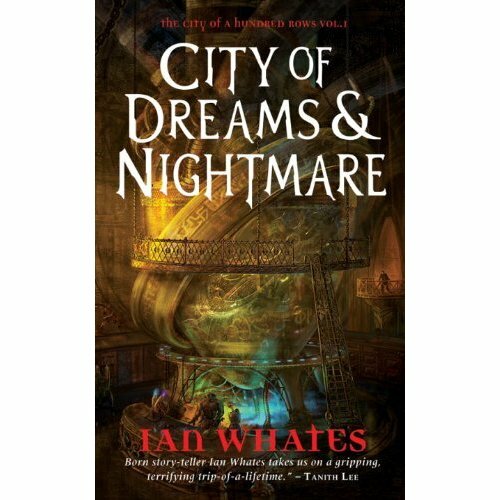 I'd been aware of this book for a while and finally got round to reading it because I was going to see Ian Whates talk at a local event. Sometimes it can take me a while to read a book, even if I have seen it a few times, because there are so many other books. This is a very slight downside of working in a library. The book is an urban fantasy (as may be obvious from the title), but one with science fictional sensibilities as well. It's set in Thaiburly, a city carved into a mountain. Tom is a street-nick from the City Below, a cavern underneath the main city through which flows the river Thaiss, it has the port and most of slums and gangs. 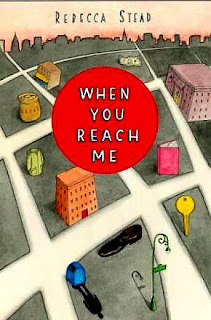 At the start of the book Tom is climbing up the Rows that make up the rest of the city, with the conditions becoming more luxurious and wealthy the higher he goes. Most of the way up he witnesses something dreadful and flees back down. Once in the City Below he must travel back to familiar territory with Kat, a young woman with a dangerous past. The other main character is Tylus a slightly unfortunate member of the elite Kite Guard, who is sent down to the City Below on the trail of a street-nick lad who's been accused of murder. Though Tylus's time as a Kite Guard has been marred by errors and awkwardness he is inflated by what seems like a special promotion and his journey to the City Below gives him the opportunity to prove himself. The setting is very well realised and the supernatural is clear from very early on. Although initially the book seems more like a fantasy there are definite science fictional elements, especially strange, advanced tech, that become more important as the plot progresses. I enjoyed the mysteries and suspense in the plot and found the characters engaging. Having spoken to the author while I was reading I found I had extra insight into some of the final scenes, which was pretty cool and added extra depth to my reading experience. 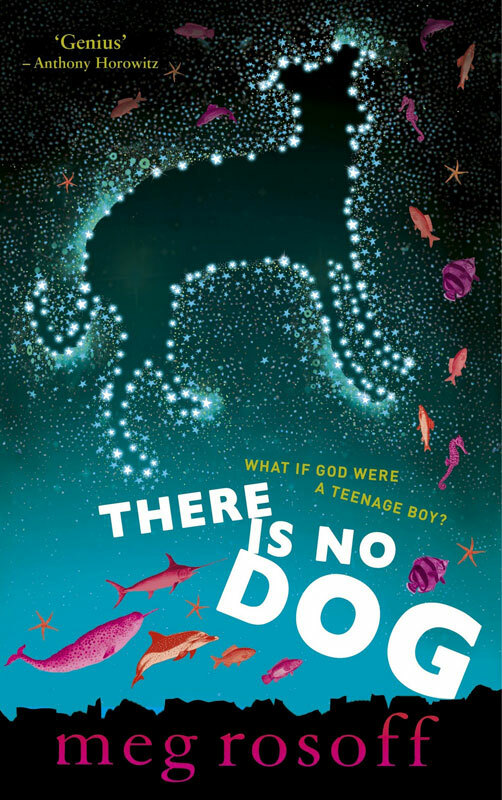 This interesting teen book asks what if God were a selfish, lazy 16 year old boy? Bob got the job of God because no one else wanted it, Earth wasn't a glamourous project and no one really knew what to do with it. Bob had some really interesring ideas to start with, but then he kind of lost interest in the whole creation, well except for the pretty girls. And Bob has just noticed assistant zoo-keeper Lucy. I found myself vaguely dissatisfied as I was reading. Something about the book didn't quite work for me. Possibly I had different expectations of it, though I couldn't tell you what they were. It was an OK read, but I found that the story soon became stuffed with characters and plot thread. I didn't quite know how the things would come together and I found that my bemusement kept me from properly immersing myself in the book. I think this was a good, interesting idea and the bulk of the story was well done, but I didn't like it as much as I had thought I would. I would recommend this to the right person (my job requires giving recommendations for all sorts of books whether I've liked -or even read- them) but it's not a personal favourite. I've been contributing a few blog posts over at a new (but already very popular) blog. There are all sorts of posts about who to have in your team, how to use gardening for long term survival, how to look good whilst you are surviving, which weapons you should choose and suggested music for the apocalypse. There's all sorts of stuff covering all kinds of interests. You should go and have a look because some great ladies are contributing and it's growing all the time. Ancient Apocalypse: Zombies - you may be surprised to learn just how old the idea of the zompocalypse is. Cutepocalypse: Undead Ducky - I follow instructions in a sewing book to create the cutest undead creature you ever did see. Apocalypse Friends - ever wondered how each of the Friends characters would cope in the event of the Apocalypse? Well I did and the resulting post is pretty well thought out, if I do say so myself. 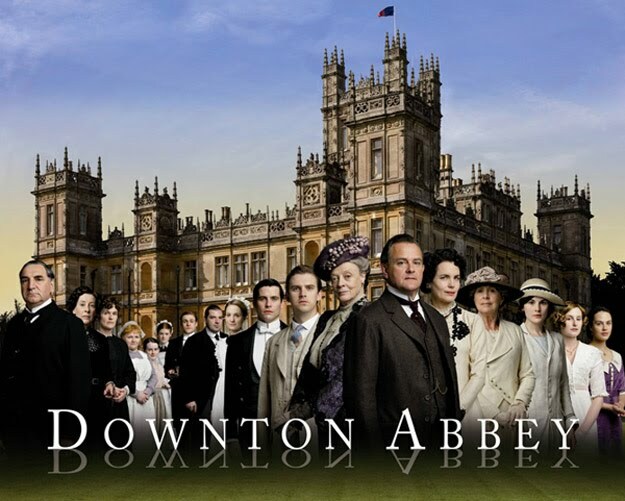 Last year the first series of Downton Abbey saw a great, new character drama come to British television. It was the only reason I had for watching ITV (besides Back to the Future, Quantum Leap and Poirot - most of which are repeats anyway). I think the only reason I didn't blog about the first series at the time was because that was around the time my laptop stopped working. The first series was a strong, character-based drama which really made us care for all those involved, even when they were at odds with each other. The programme, much like its Edwardian setting, was stately and reserved on the surface but full of interest and emotion underneath. 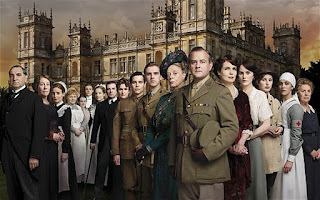 Though the series was framed by dramatic historical events, the sinking of the Titanic and the start of World War One,* it was most successful when it was about the characters. The most dramatic event of the first series (a socially inappropriate sexual encounter followed by a sudden death) was actually rather overblown and unintentionally got kinda funny -well I was weirdly amused by it anyway. As ridiculous as that plot seemed at first, it earned its place because the ongoing fallout led to plenty of great complications and interpersonal drama, which is the lifeblood of the programme. Then we have the second series, which finished last week. Being set during the First World War I suppose it had a fairly serious and dramatic backdrop to work against. 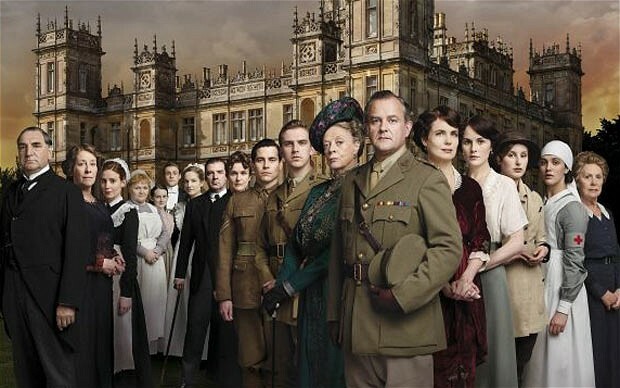 A maid training to become a secretary and power plays between footmen and valets are not the things any programme set between 1914 and 1918 should be focusing on. A variety of war issues were introduced: the young men joining up; the older man being made to feel useless; the women pitching in to help; the young aristocrats rolling up their sleeves and mucking in even as the older ones try to shield their servants from conscription. Unfortunately some of the character moments were somehow lacking and the plot, rather than being character-driven, seemed to rely upon a series of unlikely events. There were still very good performances and I felt the same about most of the characters, but events took a turn for the melodramatic and I found myself unable to take parts of it seriously. Below are some examples of the ridiculousness. The unrequited love (which is unrequited on both sides, for no good reason) became a love triangle. This meant there were a lot of longing gazes and significant looks and people being awfully noble. Then the third part of the love triangle offered to back out, but she got killed off anyway so that the guy didn't have to make an ignoble decision, which was very unfair on her as she was the more deserving girl. The middle sister (who is treated as though she is both ugly and socially inept, even though she isn't) starts helping with the war effort on a farm. After driving a tractor for what seems like a day (but is actually several weeks, or even months)* she ends up becoming friendly with the farmer and they kiss in the barn. Then she stops having to go to the farm and... well that's it. I think it was meant to show us that she can be likeable, but I never thought otherwise. All the mean stuff she did in the previous series was a direct result of her elder sister being bully. A long-lost heir appeared. He was rescued from the Titanic and got amnesia and lived as a Canadian and got very badly burned in the war. Except it turns out he was probably a fake, and then he disappeared. And all this episode-long storyline goes to prove is that poor Edith (who is treated with nothing but pity by her family, for no real reason) is gullible, and that Julian Fellowes has been taking plotting advice from US soap operas. The most cunning character (a man who managed to get invalided back to Blighty & put in charge of his former colleagues) spent all his savings on black market food, only to discover that the dodgy bloke he met in the pub had sold him substandard goods. It's like you can't even trust criminals! Seriously, this guy was the best schemer in the whole show, but apparently his IQ was damaged along with his hand. Incidentally he was keeping his black market stash in a shed with big windows. There is an inappropriate and confusing near-miss dalliance between the lord and a maid. I'm not sure why this happened, except that her ladyship (who is normally loved by her husband) had been a bit stupid and self-involved just recently, presumably so that we wouldn't judge the lord too much for kissing a maid. Then the lord got very angry at his daughter for wanting to marry the chauffeur, even though she was conducting her socially-inconvenient relationship in the most reasonable and honorable way she could. Don't get me wrong, there were some plotlines I really enjoyed and I'm looking forward to seeing continued next year. However I hope that next series, without having to go up against the First World War, the programme will go back to being a little more sensible. Either that or they need to introduce a scandalous young cousin to be a Bright Young Thing and/or a flapper and have the roaring twenties invade the house in the form of ridiculous hats and people doing the Charleston. I can almost see the shocked disapproval on Maggie Smith's face, and I think that's the one of main things that kept me watching this series. * Time in Downton moves very strangely. The entirety of the First World war passes in about four episodes, meaning it's roughly a year per episode. A baby conceived part way through one episode, is big and thriving, despite greatly reduced circumstances, by the next episode. However the characters' relationships don't change in the time between episodes, and they seem to return to conversations they must have had months, or even a year ago. It must be the anti-Narnia because despite all the time that's passed it is never, ever winter. 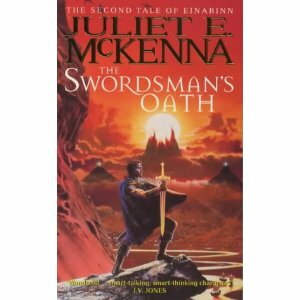 This is the second book in the Tales of Einarinn and I continue to be impressed. My views on the first book The Thief's Gamble can be found in a post from early September. Like the previous volume this book is told mostly from the viewpoint of one character, with the deeds of other characters in other places told in third person. The narrator character is Ryshad, a character who appeared in the previous book. I liked being able to see the same characters again from Ryshad's point of view, it gives them all more depth. It was also interesting to see Livak from the view point of a friend and lover, as I'd experienced many of the events of the previous book from inside her head. The setting -already a realistic and detailed world- is expanded as the action moves from the main continent (which is akin to early-modern Europe) to the Aldabrashin Archipelago. The Archipelago has more of an Eastern feel, though it's different enough to our own world that it felt original, it was certainly different from other fantasy settings. I also liked that parts of the book took place in a period long before current adventure. As a history fan I liked seeing the juxtaposition of two time periods, and I'm impressed by McKenna's craft that she was able to create and convincingly convey such a sense of history in an entirely fictional setting. 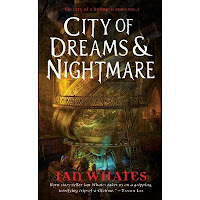 The plot took a few unexpected twists and turns (I certainly never expected the Aldabrashin section), but never did the sequence of events feel contrived - except where powerful characters were pulling strings, of course. I've already ordered the next book, and I'm looking forward to reading that as well. I've gotten a bit slow at writing reviews again, my apologies. I've got a few posts that I want to do and I will try and get them done before December arrives and buries me under Christmas-related stuff.